40th National Training Program "Providing You the Keys to Success"
Click Here to Watch Videos of WITI's 2009 Hall of Fame Inductees! Keeping our head down and working harder is not always the answer to growing in your career. At a recent corporate leadership development forum I lead, we discussed the need to broaden our skill set and awareness - to become 'organizationally savvy.' We need to be aware of the operating principles of success within our particular organization, and actively work to succeed within them. This is an issue for many people - and I would hypothesize women in particular - when they are more junior in their career. WITI Experts on Demand is designed to help you make the best decisions possible - carefully selected trusted advisors committed to providing you the best advice to grow your career, business, profession - to find the best answers to complex challenges you are facing now or in the future. Instead of spending time searching for the right person, driving to someone's office, WITI Experts on Demand is designed to provide you a list of prescreened, personally recommended experts ready to help you deal with the challenges critical to your growth and prosperity. Take a look at the WITI Experts offering their expertise, put in your credit card to buy the time you need, e-mail them your questions and/or arrange for a telecon. Take a look at each expert's photo, bio area of expertise, and rates, so you can select the expert that best matches your needs. All experts listed on WITI Experts on Demand have been personally recommended by trusted WITI Advisors. Visit www.witi.com/experts for Complete Details! We live in uncertain times. Life sometimes feels scary and difficult. When we pick up the newspaper, listen to the news, or go about our day it sometimes seems that we have a constant shadow dogging our footsteps - and that shadow has a name - FEAR. Here are some strategies for dealing with fear that may allow you to not only keep it from paralyzing you, but also use it to catalyze you into positive action. Teamwork is the foundation of all successful leadership. Understanding how teams works and how to formulate team objectives will help maximize the potential of a good team and will turn an "impossible" task into a reality. June 22, 2009 • Phoenix, AZ • Register Now! WITI Greater Phoenix Network is holding its first Leadership Committee Meeting. We are seeking professionals committed to making a difference in support of WITI's Mission: to empower women worldwide to achieve unimagined possibilities and transformations through technology, leadership and economic prosperity. This is an exciting opportunity in joining the leadership team as we build our Greater Phoenix Network. Visit Care.com/WITI and save 20% on your subscription! Find great local babysitters, nannies, special needs caregivers, tutors, senior caregivers, pet sitters, housekeepers and more! View detailed profiles, background checks and references for hundreds of thousands of pre-screened providers near you! Join WITI @ GigOM's Structure 09 in San Francisco! 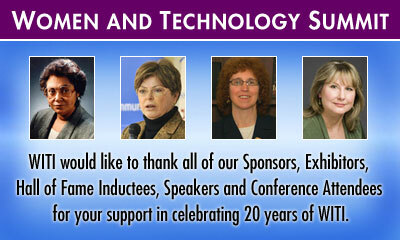 Your exclusive Women In Technology International 10% discount on this year's conference is available now! Don't miss this opportunity to meet with and learn from the experts. Buy Your Ticket Now! The last year has seen an explosion in the interest and uptake of cloud computing. The noise is increasing, and it's getting harder to pick out the real signals about where the industry is headed. Structure 09 is your amplifier. For our second annual event, we bring out the industry's biggest influencers to help clarify the present situation and investigate the evolution of the cloud computing ecosystem. Structure 09 is a focused single day event, programmed to make the most efficient use of your time. 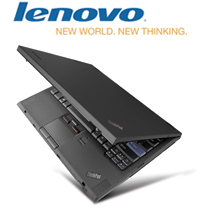 The event is produced by Om Malik of GigaOM, who has covered cloud computing from the beginning. We don't just talk about cloud computing once a year; it's a part of our ongoing editorial coverage on GigaOM every day. Attend Structure 09 and be part of the conversation. We have just announced our programming schedule for Structure 09. Full Details Available Here!